This is perfect for new Mums who want to get fit in a safe and effective way. I can start to work with you after your 6 week check and help you to reconnect with your pelvic floor, help reduce your tummy gap and start to build a strong, supportive foundation on which to build form and fitness. This is a personalised, progressive and holistic programme that will focus on what’s important to you, at your pace. We will cover nutrition, lifestyle, rest and exercise – a perfect start for you and your body. 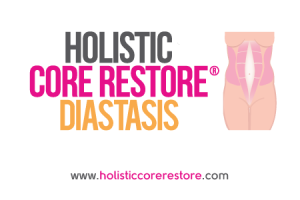 The Diastasis programme is the gold standard in post natal healing and recovery and is part of the ground breaking Holistic Core Restore® Programme. Baz is a Women’s Health and Fitness Coach, who specialises in pelvic floor and core strength. She uses an holistic, evidence based approach to help women reconnect with their bodies, building strength from the inside, out. 2016 © Handcrafted with love by Mountain Dome.